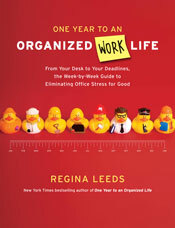 New York City native Regina Leeds has brought order to home and work environments across the United States since January, 1988 when she started her company, Get Organized! by REGINA . Currently based in Los Angeles , her clientele runs the gamut from movie stars to business people and housewives. 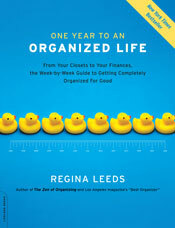 Regina is the author of seven books including: New York Times Best Seller “One Year to an Organized Life.” “One Year to an Organized Work Life” debuted January, 2009 . 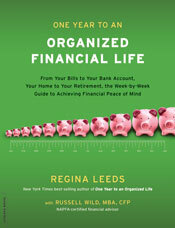 “One Year to an Organized Financial Life” with financial planner Russell Wild is set to debut in January, 2010. “ One Year to…” is now an official franchise with Perseus. “The Zen of Organizing; Creating Order and Peace in Your Home, Career and Life” was Regina's first book followed by “Creating a Place Without Losing Your Space: a Couples Guide to Blending Homes, Lives and Clutter” and “The Idiot's Guide to Decluttering.” Alpha Books is the publisher. In 2002 Regina ghost wrote a book for a shelf help guru. Regina was a regular contributor for two years on Lime Radio at Sirius Satellite Radio Channel 114 and their web site Lime.com . A one-hour TV special called ‘The Zen of Organizing' was created for the Fine Living Cable Network in the spring of 2003 and continues to air. Regina does radio interviews across the country each week. Regina represented Microsoft's ‘Office 2004 for Mac' sweepstakes ( 2006 and 2007 ) and Sears Grand in 2005. The ‘Zen Organizer' has been featured in national magazines, including Bon Appetit , Redbook, Delta Airlines' Shuttle Sheet, Family Circle, New Age Magazine, In Style, Women's World, TV Guide Canada and Los Angeles Magazine among others. The latter named her the Best Organizer in LA . 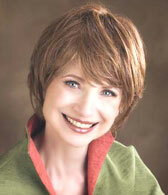 Regina was a regular contributor to VegNews Magazine during 2006 . She has been featured in the Home section of the Los Angeles Times and the Washington Post. She was the resident expert for the Home and Garden Channel at iVillage.com for 5 years. The ‘Zen Organizer' teaches classes and delivers speeches on the art of ‘Zen Organizing' to diverse groups around the country. Her audiences have included: Conde Nast, Coldwell Banker Offices, the Mile Hi Church of Religious Science in Denver (twice), the Unity Church of Christianity in Houston (three times), The University Club and Doubles in New York City, as well as, the City of Hope in Los Angeles. She is a regular speaker at the Cordelia Knott Wellness Center in Orange, California. Regina's first career as a professional actress (she received a Bachelor's degree in Theatre from Hunter College in Manhattan) has made the transition to teacher and seminar leader an easy one. Regina's credits as a professional actress include national commercials, guest spots on TV, theatre roles and three happy years recurring on The Young & the Restless . Regina is honored to be a spokesperson for the National Search and Rescue Dog Foundation in Ojai. She is also a proud cancer survivor fast approaching her eight year anniversary. It wasn't until New Year's Eve that I realized the importance of this particular holiday: not only was midnight ushering in a New Year but a new decade as well. This is an opportunity to change your life for the better. Don't allow yourself, however, to get swept up into media hype.